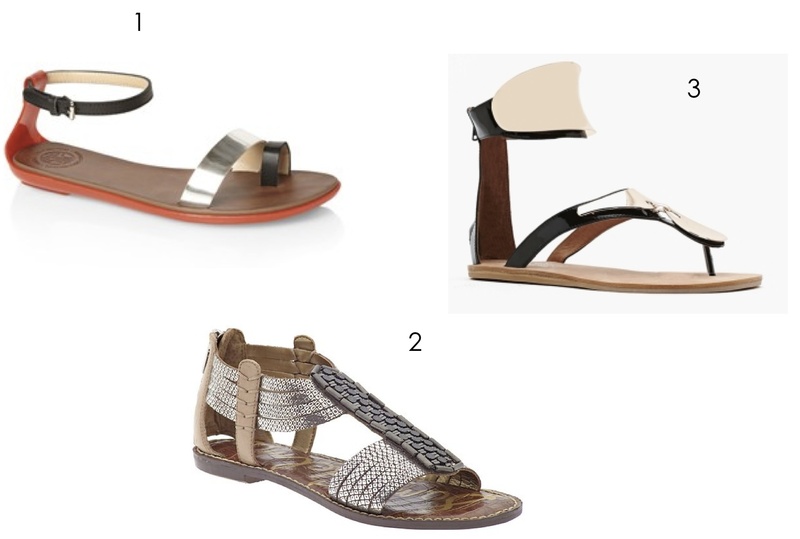 How would any of us make it through the summer without a few pairs of really cool flat sandals. They really can make a summer outfit. I have the French Connection ones, which are stocked at the Perfect Pair here in Nashville. The jelly sole makes them SO comfortable!! Sam Edelman always makes a great sandal, and who can deny the design of a Jeffrey Campbell. Those gold plates are so rock and roll.